Andrea Haddad finds that the excitement of French folk music and dance can be transformed easily into enthusiastic language learning. 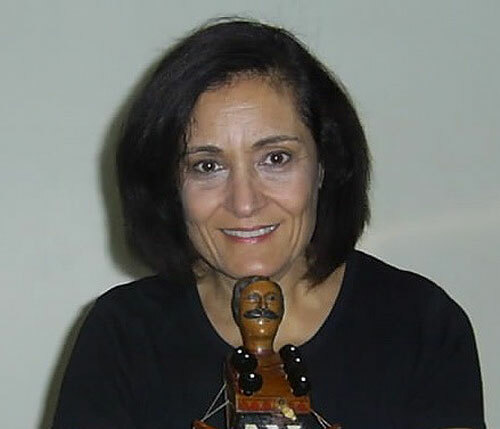 She has lived in Quebec, Switzerland and France where she performed and researched traditional francophone music and learned to play vielle à roué, the French hurdy gurdy. She continues to perform in Toronto and has recently retired as an award winning French teacher with TDSB. Rigodon … Chansons! * Rigodon … Dansons! * Rigodon … Fêtons!